It's the long weekend! Yay! No work for me tomorrow and looking forward to a 4 day work week! My weekend passed rather quickly and I did NOT stay home like I did last week but did the complete opposite. A little idea sprouted in Dave's little head to attempt getting standby tickets for this weekend's Saturday Night Live show. The host was Jennifer Lawrence with musical guest The Lumineers! We didn't actually get in the show that night but I'll happily tell you about the process and our failed attempt...There are tons of bloggers out there recounting their stories which you should read to give you an idea what your chances are of getting into the show without tickets. Four of our friends agreed to come try with us but two bailed. I don't blame them, it was really early and reaaaaally damn cold. 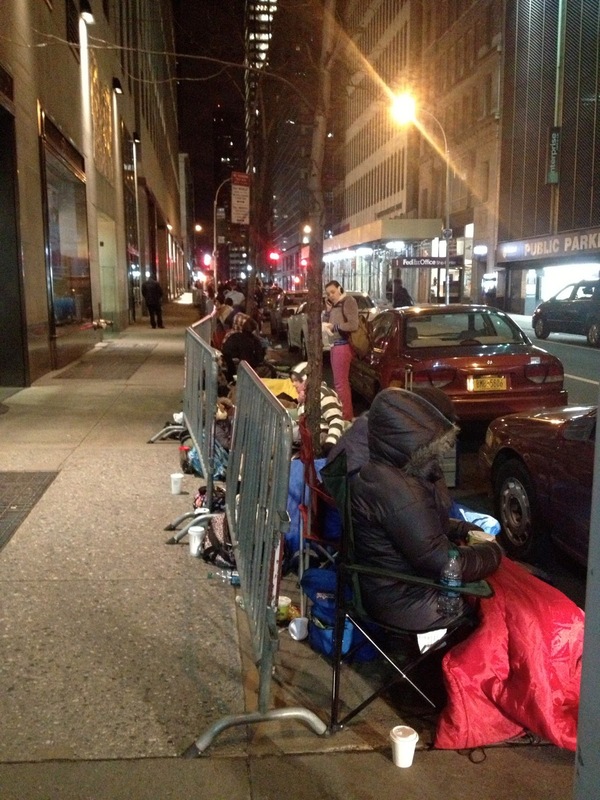 The plan was to get in line in front of NBC Studios at 30 Rockefeller Center at 5 in the morning and wait for the handout of the standby card numbers at 7 a.m. Five in the morning seems pretty early right? but it wasn't. We had no idea how late we were until we got there and saw about a hundred or more people already in line! We had to go wait in a second line on 48th street and Rockefeller Centre since the line in front of NBC Studios was too long. I was shocked. A guy in line behind us did a count and said there was approximately 166 people in front of us. Some people were supposedly there since Wednesday! That's three days of waiting in the cold! At that point, we kind of knew that our chances of getting into the shows were zero but we stayed anyway to experience going through the whole process. The number of people they take is totally unpredictable. They will NEVER be able to tell you what your chances of getting into the show is..NEVER. It just depends on how many ticket holders show up and that's it! The studio's capacity is 325 seats I was told by one of the girls who handed out tickets. It's really a shot in the dark and most probably depends on your luck more than anything. 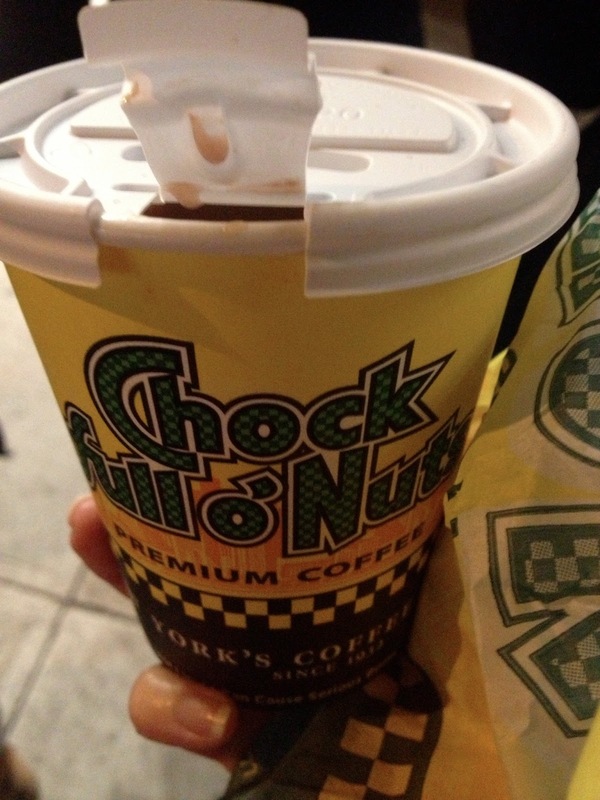 Anyway, while in line and froze our toes off, we enjoyed some free hot chocolates, apple cider and apple pies distributed by a food truck 'Chock Full O' Nuts'. That was kind of nice and unexpected and not sure if they were sponsored by NBC or just generous business owners. Does anyone know? They also sold hand and feet warmers for $2, blankets for $5, water, soft drinks and warm food all for $1. Free Chock full of nuts hot chocolate, cider and coffee and apple pie !